Servus, dear Steampunk friends, followers and crafters! 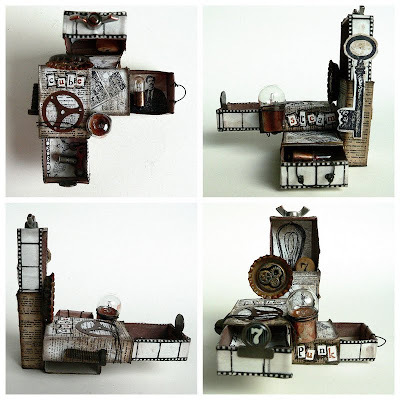 There are still two more weeks left to enter our "Matchbox Steampunk" challenge and become eligible for the prize draw (which will be a random draw as always) or even one of our Top3! This month once more Tusia from MixedMediaPlace is our generous sponsor. 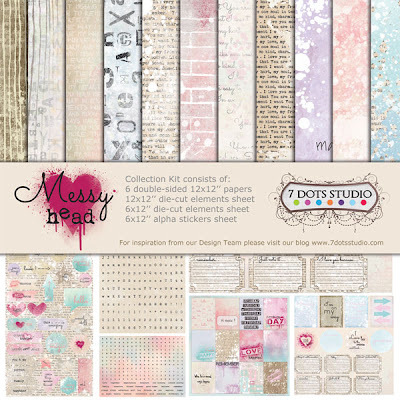 She will give away the lovely "Messy Head Collection" pack from 7 Dots Studio. Awesome, isn't it? 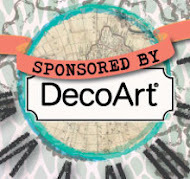 Her very well sorted mixed media online shop is definitely worth a visit! Thank you so much, Tusia, for providing us again with such a great give-away! It's time to announce (proudly of course) the Top3 of both the 2D and 3D entries for our July "Rust" challenge! The comments from you that let us know our efforts are appreciated (and noticed) are a lovely reward for us. Thank you. 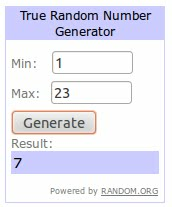 Congrats to all of you (please, feel free to grab the winners badge for display on your blogs) - but also to all who entered a project to our challenge! You all did an awesome job and if we hadn't promised to choose Top3s, you would all be our winners. Now finally to our prize winner, who will receive the wonderful "Real Rust" and an edition of the "Just Stamps" magazine from Daniela Rogall, who was our generous sponsor for this prize. Thank you once more, Daniela, for the great gifts! Congrats to you too! Please, let me know the adress Daniela has to mail the prize to. Have fun! 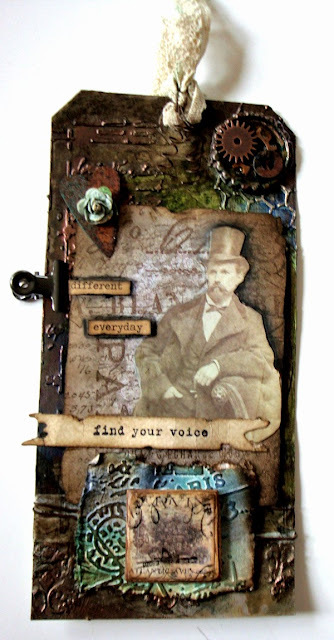 Our August challenge - "Matchbox Steampunk" is open until the end of August and we hope you will all join in again (or for the first time ;)! Welcome back, dear Steampunk friends! Die amelie here, to bring to you the challenge for August. 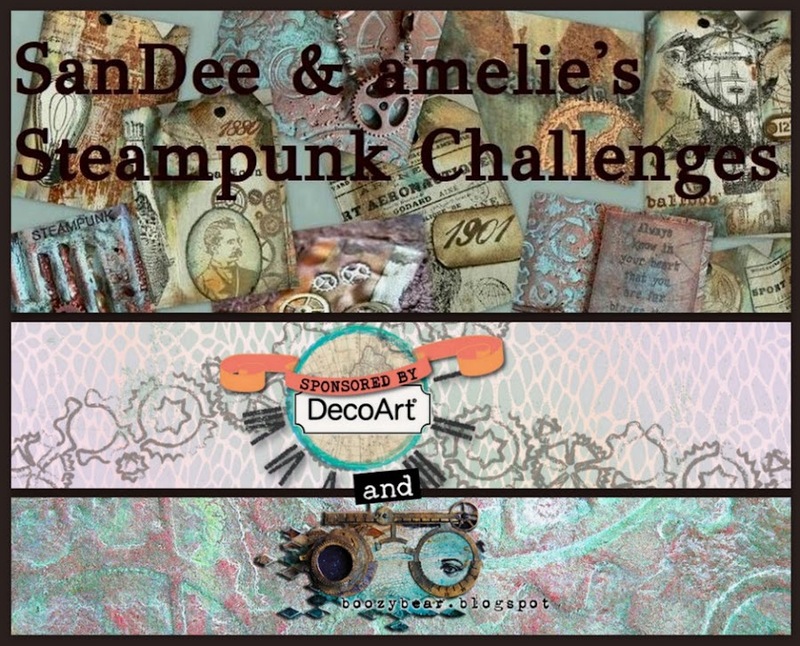 As usual our challenge is "anything goes"
as long as it is Steampunk and you stick to the rules and theme. Top3 and prize winner of the July challenge will be announced within the next few days, so, please, come back to check if you are one of them. So fantastic, isn't it? When I first saw what she had made for our challenge, I really couldn't believe my eyes.... a miniature dresser, made with so much care and thought. Even the smallest details are worth giving them a closer look! I am married to my high school sweetheart and we’ve been married for 38 years. We have two wonderful children; a girl and a boy, and four precious grandchildren. I have always loved art although I’ve never had any formal training, other than being fortunate enough to attend Ranger U in 2011. I am currently a design team member for Simon Says Stamp and Show. This has been so much fun for me on two levels. The different challenge themes really make you have to stretch your imagination to come up with new and unique ideas every week. I really enjoy that. But even more than that, I have met so many wonderful and talented people that have become friends all over the world through our interactions from Simon Says Stamp and Show. Claudia, you are a perfect example of this! What inspires me? Everything! Sometimes it’s the lyrics of a song. Sometimes it’s simply a color. You never know what is out there, waiting to inspire you. Just keep that creative eye open! I do know that I am fascinated by how something is put together. Once I understand the construction of something, I like to really try to create something with it that I’ve never seen before. 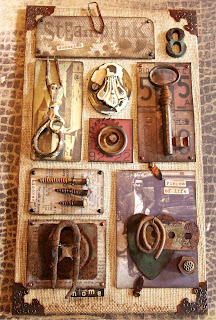 I love Steampunk because you can be “quirky” with your art. 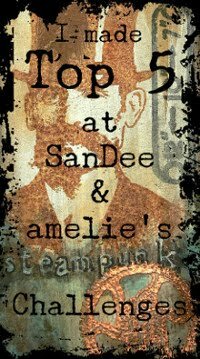 You can take things that you normally wouldn’t think would go together but somehow, in Steampunk, they do! I love metal, detail and vintage style. The combination of those three things is perfect for Steampunk pieces. I hope we have inspired all of you to have your very own joyful play with matchboxes, turning them into something Steampunk-y! We wish you a lot of fun and a happy time crafting and look forward to seeing your wonderful entries with us soon! You always create such awesome projects for our challenges by all of which we are sooo proud as they are all so veeerrry, very creative and so very well made too! So we can hardly wait to see your matchbox Steampunk! We will announce July's prize winner and Top3 in about a week, so, please, come back then to check if you are one of them. We have decided on a new addition to our challenge blog: in future we would love to choose the candidates for a guest designer appearance on our challenges from you - our true and highly talented players. So if you want to be our guest designer for one of our challenges, please, add a "GD" to your name when entering our current challenges via the inlinkz tool. We will put up a list from all those who signal that they want to be our guests and contact you for a guest designer's appearance when the time has come (but not later than three weeks before the challenge with you as our GD goes online). So, please, enter your project using the inlinkz link below (and add the "GD" if you want to be our guest designer soon). Please, enter your project via the inlinkz-tool below.